Here at ArmsBearingCitizen.com, we believe in owning firearms as a constitutional right. We love all things related to guns, and we also support the 2nd amendment rights for all Americans to Bear Arms and have an inherent conservative slant to some of our writing on our site. Whether you are an avid firearms collector or an avid shooter, the sites below are a place for you to start if you are looking for information about your right to bear arms in the United States. Thanks for taking the time to stop by our site and we hope you enjoy the links! Guns & Ammo: Talks about everything from gun safety, gun control and reviews of both firearms and firearms accessories. Also has a assortment of forums, apps and other fun firearm related stuff to spend hours reading. The Truth About Guns: A website similar to Guns & Ammo with a more casual tone. Authored by several people, this site provides content on 2nd Amendment rights as well as firearms and firearms reviews. They like to break news of gun control and make sure the general public is both aware of the potential restrictions and negative hype that tries to suppress their constitutional rights as a US citizen. Guns Magazine: A slightly less popular version of Guns & Ammo, this relatively commercial site provides reviews on all types of firearms and gun products. Ammo Land: Site that reviews firearms and different types of ammunition. They also cover topics on 2nd amendment rights, gun control and hunting/outdoor activities including competitive shooting. HuntingNet: Site that’s all about hunting basics, hunting equipment and guns. Site that provides awesome content about gear, Hunting spots and equipment reviews. Field & Stream: Outdoor website with a TON of outdoor content. Geared towards all things outdoors, primarily hunting and fishing. ItsTactical: One of our favorite tactical websites that has one of the coolest infographics ever around gun control. The Liberty Sphere: Blog about news with a conservative slant, that covers politics, gun rights and other popular conservative topics. The author, Anthony Martin is a big supporter of one of the greatest American presidents to ever live, Ronald Reagan. The War On Guns: One of our favorite blogs on gun control. David Codrea is the author and one of the foremost authors in the blogosphere today when it comes to his dedication around firearms. He’s written for many firearm publications and is one of our favorite authors with his dedication to the 2nd amendment rights of US citizens. Project Child Safe: Project Child Safe is a non-profit organization that focuses on making sure that children are kept safe in the realm of firearm ownership. They preach “Own it? Respect it. Secure it.” and we couldn’t agree more. Owning a gun is a serious responsibility that takes time, energy and most of all respect. If you own a gun, you have a responsibility to keep it locked up at all times. Guns and Shooting Online: Chuckhawks.com is one of the top online shooting resources out there on the web. This site focuses mostly on guns and shooting accessories and provides detailed information regarding many different types of firearms for specific situations. They also have a very extensive section on Military History as well as other outdoor recreational activities like fishing. 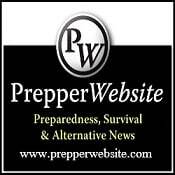 ReThinkSurvival.com: Survival Site that focuses on prepping supplies and prepping tips/information. Information around safety, meals and more. Large focus around food and how to thrive while providing for your family as a responsible prepper. Military-History.us: Military History and Book Reviews Website. Patrick Shrier does a job breaking down military history and war history books on his site and also has written a survival book himself called “The Simple Survival Smart Book.” You can pick up a signed copy of his book on his website. Survival and Prosperity: “Protecting and growing self and wealth in these uncertain times” is the motto of this fantastic guide to protecting your wealth. This is a site, especially if you are interested in how to shield your assets from uncertainty in the financial markets.